Russia-Based Kaspersky Lab Sues Trump Administration For Banning Its Software : The Two-Way The Department of Homeland Security has "harmed Kaspersky Lab's reputation and its commercial operations without any evidence of wrongdoing by the company," said Eugene Kaspersky. Eugene Kaspersky, founder and head of cybersecurity firm Kaspersky Lab, speaks in Berlin, Germany, last month. Kaspersky's company filed a lawsuit against the Trump administration today. Kaspersky Lab, a massive, Russian cybersecurity company, sued the Trump administration in U.S. federal court on Monday, arguing that the American government deprived it of due process rights when Homeland Security Secretary Elaine Duke banned its software from U.S. government agencies in September. "Kaspersky anti-virus products and solutions provide broad access to files and elevated privileges on the computers on which the software is installed, which can be exploited by malicious cyber actors to compromise those information systems," said the Department of Homeland Security's September statement. "The Department is concerned about the ties between certain Kaspersky officials and Russian intelligence and other government agencies." The DHS's directive gave government agencies 30 days to identify any presence of Kaspersky products, 60 days to develop plans to remove them, and 90 days to execute the plans. President Trump signed the ban into law last week as part of a broad defense policy bill. "There are concerns on record and some that suggest there has been direct collaboration with certain officials from Kaspersky and from the FSB, which is of course the successor to the KGB," Sen. Jean Shaheen, D-N.H., told NPR. "Kaspersky Lab said it was disappointed by the decision to ban its products. It said the company has never helped any government anywhere with cyber-espionage and added that it's, quote, 'disconcerting that a private company can be considered guilty until proven innocent due to geopolitical issues.'" Kaspersky Lab's lawsuit also claims that the ban violates the Administrative Procedures Act and the Fifth Amendment. The Administrative Procedures Act controls how agencies like the DHS can establish regulations, and requires that agencies must provide "substantial evidence" for their regulation decisions if questioned by a U.S. court. 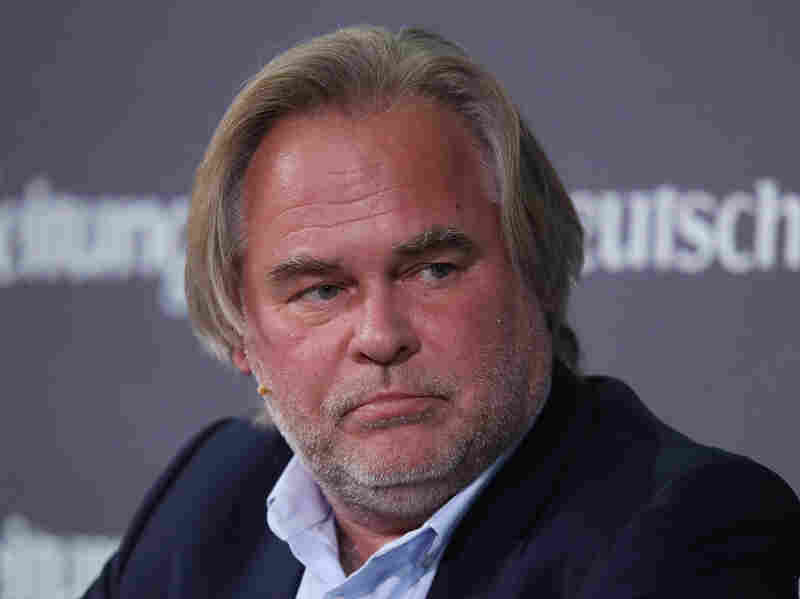 The company's founder, Eugene Kaspersky, issued an open letter condemning the DHS on Monday. "DHS has harmed Kaspersky Lab's reputation and its commercial operations without any evidence of wrongdoing by the company," he said. Until recently, Kaspersky Lab was among NPR's underwriters.